VERY tight fit to the bottom and back so there is minimum loss of ground clearance. Smooth on the bottom with 4 drain holes for mud and water. 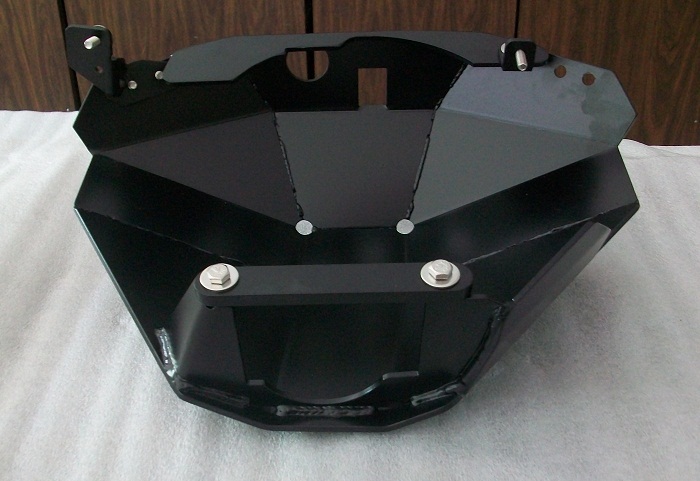 Provides great protection of the e locker motor without the need for another guard. Of course it clears our fuel tanks skids. 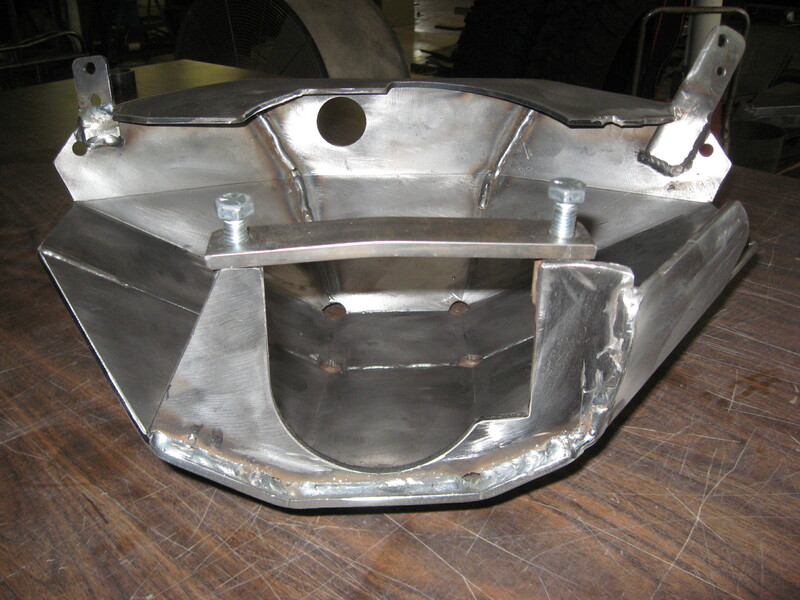 As tough as they get with all the engineering and great fit you have come to expect from BudBuilt. Durable and strong, the workhorse of armor. Ready to take HARD hits from rocks, stumps, and lesser vehicles day after day. 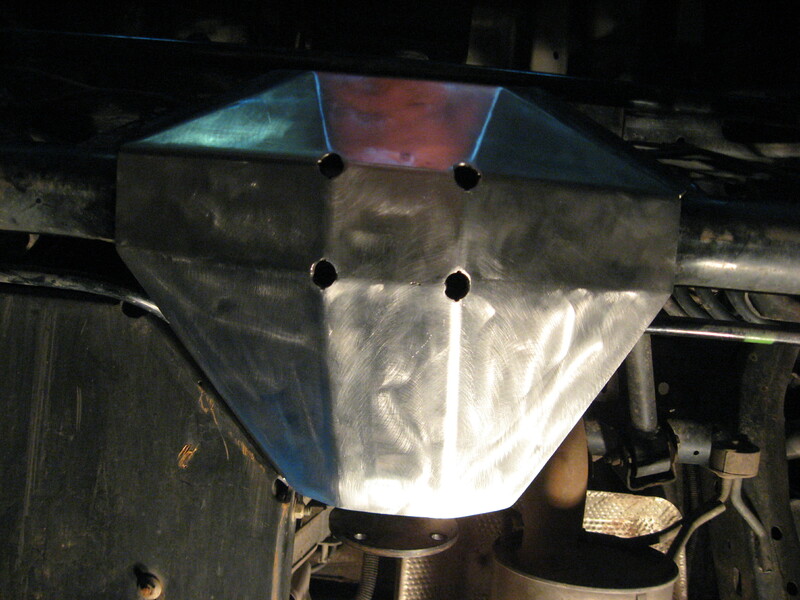 We recommend 3/16" steel where the application sees occasional to frequent rock impacts. 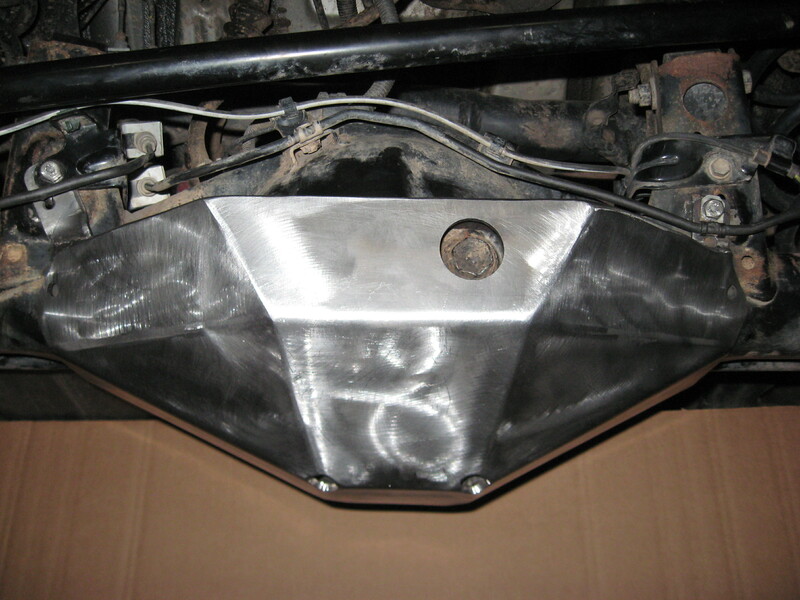 Requires powder coating or user applying paint to prevent rust. With the same durability and strength of steel, stainless steel has the additional benefit of not requiring rust preventing paint. Most of our stainless steel users choose this material because with regular rock impacts, even industrial powder coating can be scraped off. Stainless steel offers users the freedom to drag our armor over obstacles, and not require prepping and repainting impact areas to prevent rust.